Drums, guitar, harmonica, percuission, bell, kazoo and more. Drawing especially on his past experience as a drum teacher, he aims to incorprate some of the most challenging rhythms into his performamces. Whether parading, walking, running or backstepping he delivers smiles and impact way beyond the music itself! 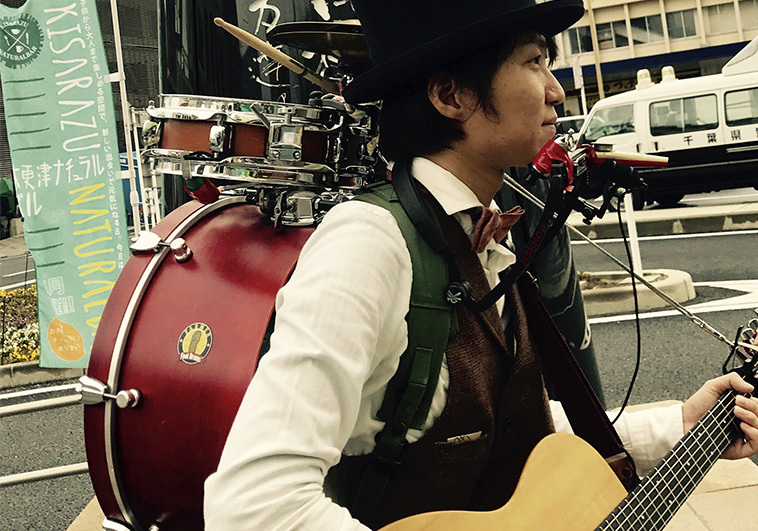 Regularly touring overseas, including Vietnam and Cambodia, we are delighted to bring you his debut in Motomachi Park.